Pardon our dust as we are in the midst of a renovation. There will be ample parking at the northwest corner of the campus. 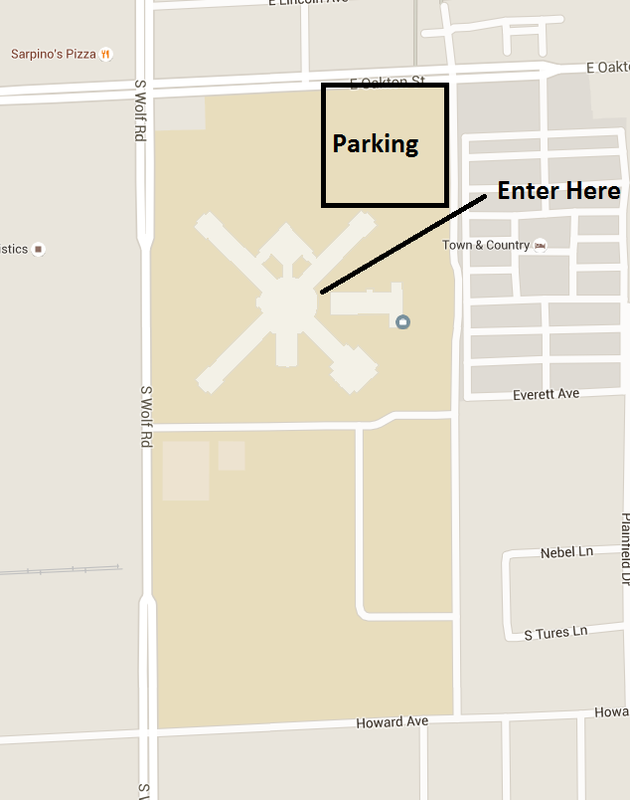 Enter the parking lot off of Oakton (the entrance will be marked with balloons). You can then enter the building through the bus concourse on the west side of the building.